Can We Remove Carbon from the Atmosphere? 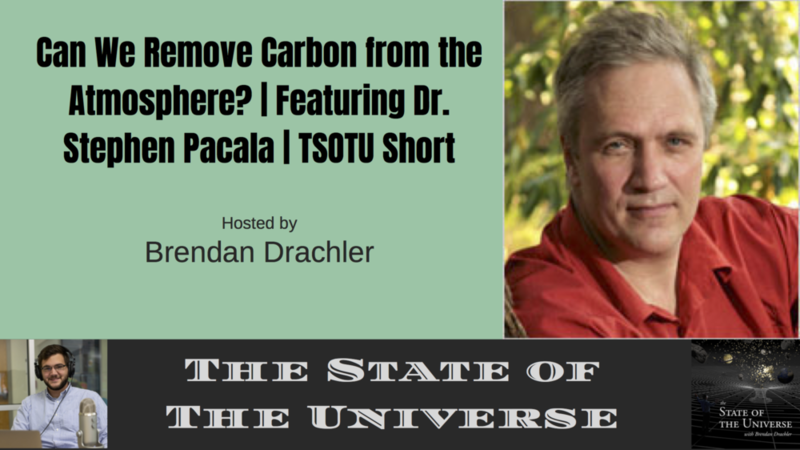 | Featuring Dr. Stephen Pacala | TSOTU Short — Welcome to The State of The Universe! This week Brendan discusses carbon capture technologies with Dr. Stephen Pacala. Dr. Pacala is Frederick D. Petrie Professor of Ecology and Evolutionary Biology at Princeton University and Director of the Princeton Environmental Institute. He also co-directs the Carbon Mitigation Initiative, a collaboration between Princeton University, British Petroleum and the Ford Motor Company to find solutions to the problem of global warming. His research covers a wide variety of ecological and mathematical topics with an emphasis on interactions between greenhouse gases, climate and the biosphere. More about Dr. Pacala and his efforts can be found https://environment.princeton.edu/directory/stephen-pacala and at http://www.climatecentral.org/.